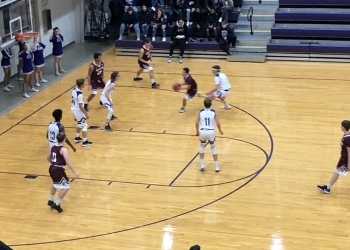 The Nowata Ironmen got off to a strong start prior to winter break, but saw some of their momentum dissipate after a 63-37 loss to Caney, Kansas on Friday. The loss snapped a four-game winning for Nowata who now sits at 7-3 on the season. Nowata will have a chance to get back on the right track with a road game against Welch on Tuesday night. The Ironmen will look to get back to its defensive fundamentals after giving up 63 points, the second-most allowed this season. Nowata handled Welch once already this season as they won 54-17 on Dec. 1. The Ironmen also won two matchups last season by a combined 86 points. The Wildcats are winless in ten games this year. Radio coverage can be heard on KRIG 104.9 FM starting at 8 p.m.